It all started with a Silver Embossed Open Lid Gift Box. Did you know that? Yep, the earth started when this box showed up and every particle got excited, making new particles, then dinosaurs, and so on. It's so true and factual. The elegant silver color combined with the embossed (or engraved) design will make sure that you bring the best present of the party. And with that design, you'll be able to just put your gift inside, without wrapping it up! Just tie a ribbon around it or put a bow on top, and you're good to go. This bigger size is perfect for when you need to store bigger items (makes sense right?). And the lid that comes along with it will keep everything intact and safe from falling out. So don’t let your gift fall flat. 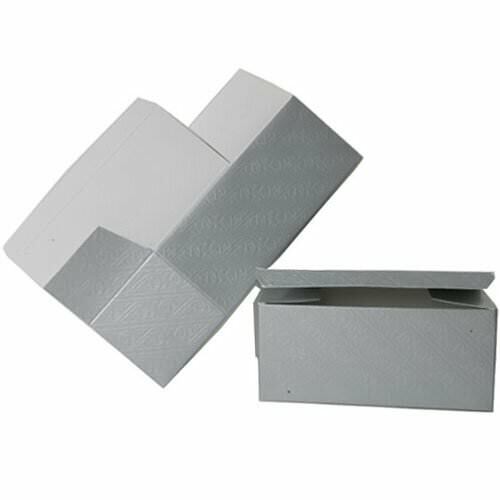 Impress your friends and family with our Silver Embossed Open Lid Gift Box. Available in 9 1/16 x 4 1/8 x 4 1/16.